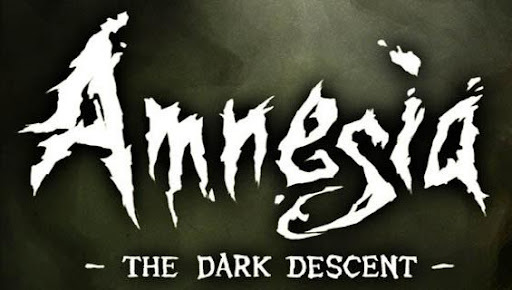 I spent a few hours with Amnesia: The Dark Descent last night, and what strikes me most about the game so far is not its atmosphere (which is excellent) but its controls, specifically in relation to the game's somewhat nebulous genre. It's billed as a "horror game", and that it obviously is, but it's also a 3D first-person game that's not a first person shooter. What it reminds me of most are old first-person point-and-click adventure games like Uninvited, Shadowgate, and Deja vu. What Amnesia really feels like is an update of these types of games, and what's clever about it is how it reverse-engineers adventure game verbs out of what is essentially a post-Half Life 2 physics-based FPS. Part of what defines adventure games are their "verb + object" interaction scheme. In classic adventure games players chose these verbs from a list, and later games found ways to reduce and consolidate verb sets (though there were both pros and cons to this reduction). Amnesia has only two verbs--grab and throw--but the developers use these verbs to "create" most other traditional adventure game verbs on the fly with game physics and traditional WASD controls. Since there is no "open" verb the way you open doors is by "grabbing" the knob and moving backwards or forwards, which pulls or pushes the door open. Because it's physics-based, you can do this slowly or quickly, or you can slam the door shut with a right-mouse click. Left mouse is "grab" and right mouse is "throw". If you are grabbing a doorknob, "throwing" means you slam the door. If you are holding an object, it means you throw the object. The world of Amnesia is designed around puzzles and exploration, not combat. There are monsters and it is possible to die, but the way you progress is by solving puzzles, puzzles that more or less emerge out of game physics. They are traditional adventure game puzzles--like stand on a box in order to be able to reach the lever that opens the secret passage--but since all these things are governed by physics, not hard-coded cause and effect, they contain the subtle possibility of alternate solutions which (in theory) gets you out of the common adventure game trap of "guess what the desginer is thinking". What impresses me most about all this is how logical, minimalist, and intuitive it all is. I can easily imagine someone who's never played adventure games easily understanding the controls and logic of Amnesia. It almost feels like a deceptive experiment to corrupt modern FPS gamers into liking adventure games, which I am all for. Anyone familiar with Half-Life 2's physics and "grab" mechanics will easily understand how Amnesia works, and they'll have no idea they're really playing Shadowgate. I am still very early in the game, so I'll be interested to see if my initial impressions stick, or if the game transforms itself into something else along the way. Regardless, Amnesia has already proven it is possible to adapt certain conventions of adventure games to modern first-person 3D gaming, and do so intuitively and fluidly, which is itself a minor achievement. Your thinking is right in line with mine, Matt. 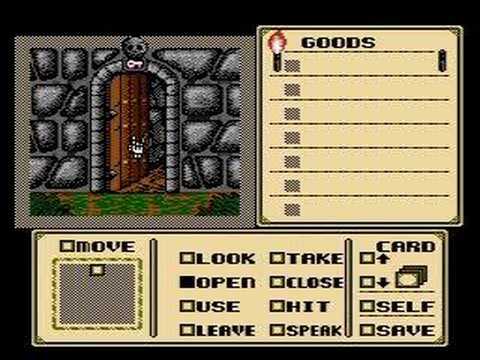 I too thought out Shadowgate as soon as my lamp went out for the first time. I am really excited to encounter an FP non-S with this level of polish, something that seems far rarer than it ought to. At the same time, I'm a little taken aback at how cruel it seems, in my play so far being so stingy with oil for your fast-burning lamp. But I also recognize it's trying to play into the survival-horror genre of making the player feel resource-famished the whole time. I'd be interested to hear your feelings on this game after spending more time with it.